Between the new position at work and the parents being in town for a week, my life has been pretty packed recently. I’ve been anxious to have a bit of time to get back to writing about my adventures. But, sorry. Today is not that day. Today is the first day off Brad and I have had together with nothing planned in a while. So we are chilling. Maybe go get lunch, maybe hang on the beach, probably Skype with some people back east, and definitely plan a few NYC activities. I need some chill music to go with our chill day. I discovered Bajka featured on the Radio Citizen song “Hop” that popped up on my Black Keys Pandora Station. She has a relaxed Eryka Badu style that can fit pretty easily into any sort of mood. And when I searched her out on Spotify, I found all of the remixes people had put together with her relaxed jazz electronica style. Born in India, raised in South Africa and Portugal, and now living in Berlin, Bajka is a singer/songwriter/poet/producer. Her music has been featured on Californication, and you can find her voice featured on Radio Citizens’ albums as well as many other artists’. And the only website I can find for her is her MySpace page. I kind of love this. 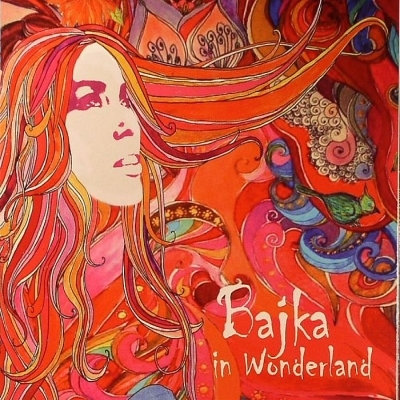 So check out her latest album, Bajka in Wonderland. And listen to her on Spotify. And take this lazy Monday to relax, and get ready for the always busy week ahead.